Plot: Jordan Belfort (Leonardo DiCaprio) stars as a Wall Street stockbroker for L.F. Rothschild who quickly entices him with stockbroker culture. Quote: “Sell me this pen” – A great one to know as it is now a standard interview question for candidates applying for a sales job! Learn: Motivate your sales team – In any sales role (and recruitment is no exception) – the atmosphere and culture is extremely important! There will be times that you want to celebrate and times you want to curl up in a ball and cry – you will need a great team around you to bounce off. Whilst Belfort infamously took this to the extreme through a mixture of lucrative parties and dark habits you can’t argue that he created a competitive and energised atmosphere. The key to this? He was an exceptional motivator! Plot: Many of you won’t be aware that Boiler Room is actually based on the same firm as Wolf of Wall Street, Stratton Oakmont. This time we don’t follow the firm’s founder (Tom Everett Scott) – rather one of the young men (Giovanni Ribisi) wooed by the promise of making it rich! Learn: In the final scene the buyer’s interest increases dramatically the moment he believes the investment will soon become unavailable, always make sure you make a client aware of candidate’s other applications – not only does it keep them in the loop but the fear of losing something always peaks interest! Plot: Will Smith’s character refuses to be discouraged by his inability to match the long hours of his co workers. This is due to his need to leave the office at 5pm to care for his young son. Learn: Will Smith’s character becomes adept at finding little ways to save time (like not hanging up the phone between calls) so that he can be productive – it’s not necessarily about the hours you work, it’s about working smart to ensure productivity! Plot: Vince Vaughn and Owen Wilson play two salesmen whose careers have been overrun by the digital world, defying odds they find themselves at an internship for Google, alongside a group of millennials. Learn: Adapt to the new age! Can’t find a candidate on the database? Take to Twitter, LinkedIn or an array of other social platforms – they’ll be there somewhere! Plot: Brad Pitt plays a general manager of the Oakland A’s, who looks to reinvent the traditional model by outsmarting the richer ball clubs. Learn: There are some key lessons we could definitely take from an industry which shook up the foundations on which it was based. Results based sales management is old school – sometimes revenue just can’t be hit – instead organisations should be focusing on consultants developing a success model. Measuring activity-based selling will lead to a better business foundation. Plot: Chris Farley plays a dimwitted heir to an automobile supply company. Tasked with saving the business from a looming foreclose – he travels the country trying to sell brake pads, while learning how to become an effective salesperson. Learn: We’ve all been there, on a client meeting with a slightly melodramatic recruiter, maybe they get a bit creative with their use of metaphors or maybe they just aren’t picking up on social cues. If there’s something this movie can teach us its that an authentic sales technique, coupled with a sprinkle of emotional intelligence will result in more success! Plot: Jerry Maguire used to be a typical sports agent: Willing to do just about anything he could to get the biggest possible contracts for his clients, plus a nice commission for himself. Then, one day, he suddenly has second thoughts about what he’s really doing. Learn: This film is rich with quotes and there are two further quotes from the late Dicky Fox which are fundamental for a successful recruitment career “the key to this business is personal relationships”- people buy from people and to develop your business you’ll need to build great relationships! Secondly and by no means least “Roll with the punches. Tomorrow is another day” – in recruitment there’s no doubting that when it rains it will pour and you need to be resilient – dust yourself off and come back in the office with a smile on your face the next day! Plot: A realistic portrayal of a life in sales (with all the highs and lows). Learn: Despite Baldwin’s outlook, the sale isn’t just about the close, it’s about the entire sales journey and better quality leads are more likely to materialise. A day in the life of a recruitment consultant doesn’t leave you with much time so you need to make sure that you are prioritising the right things, don’t go chasing those second rate leads! 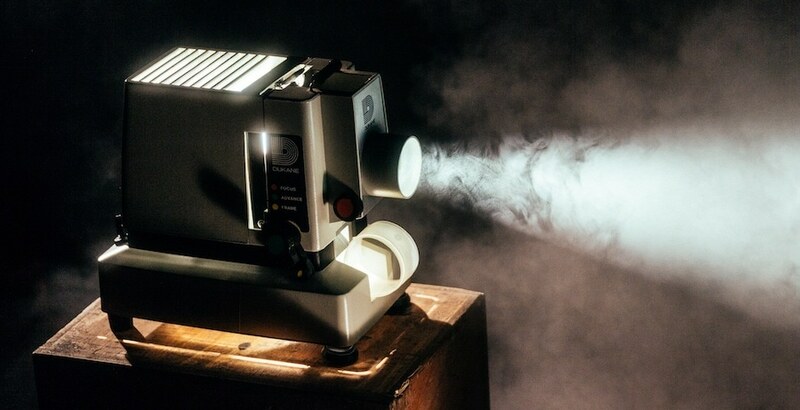 Now we all know not to necessarily believe what we see in the movies but hopefully after an evening or two in with these movies back to back you will feel inspired, energised and, failing all else you’ll have some great quotes to throw around the sales floor/make reference to! Any other classics which we’ve missed? Let us know in the comments below!